Home / Celebrity / Celebrity News / Ciara / Cover / Fashion / Magazine / CIARA COVERS LEGEND MAGAZINE AKIONGELEA MARSHA YAKE NDANI YA NDOA. 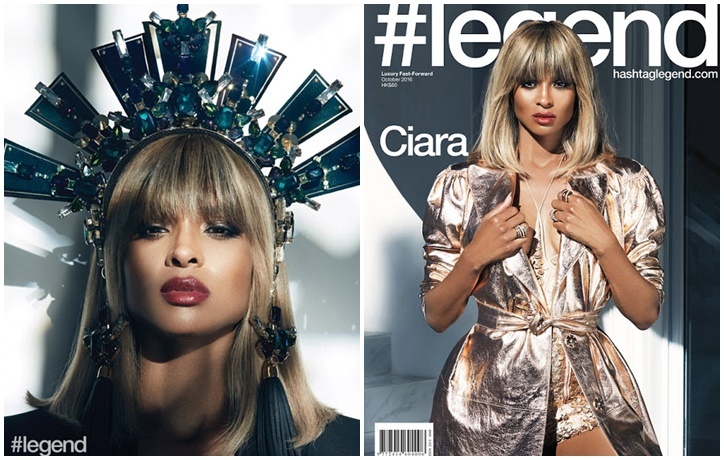 CIARA COVERS LEGEND MAGAZINE AKIONGELEA MARSHA YAKE NDANI YA NDOA. CIARA is the definition of Legendary mana the woman does not crack, she still looks as good and fit as ever. Leaving the compliments behind, CIARA qmebukua cover na LEGEND MAGAZINE na amefanyiwa interview na kueleza Ni kiasi gain kuwa mama imebadilisha maisha YAKE for the best and also about her marriage with Russell. .